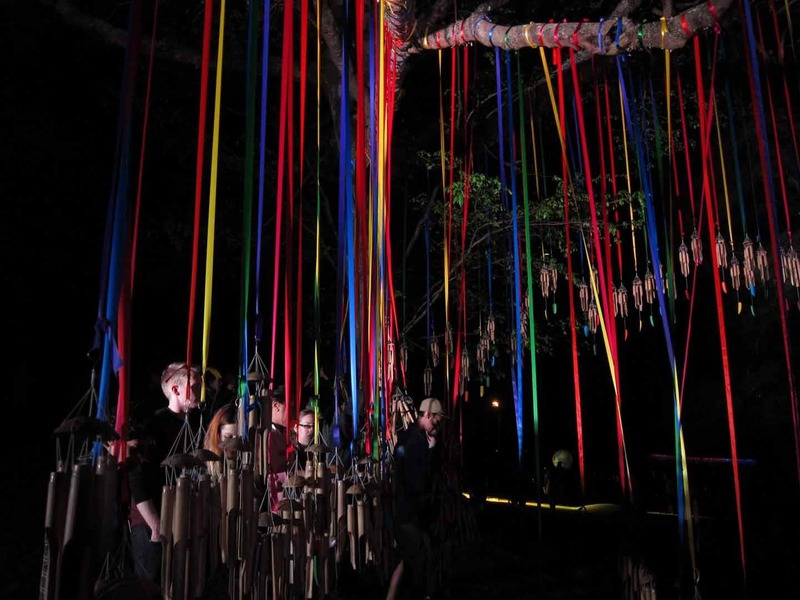 This installation alludes to the metaphysical realm of understanding between the physical and spiritual world. 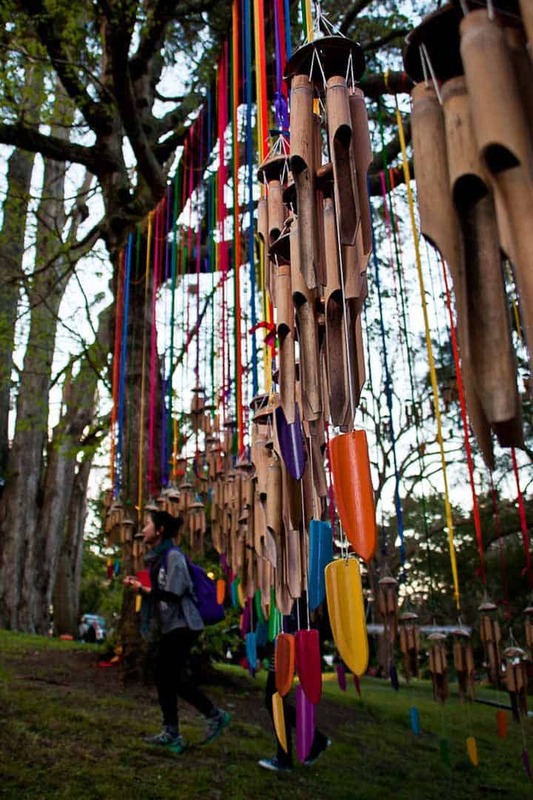 An appropriate title for this work as the artwork transforms a living space into an open-air musical instrument. 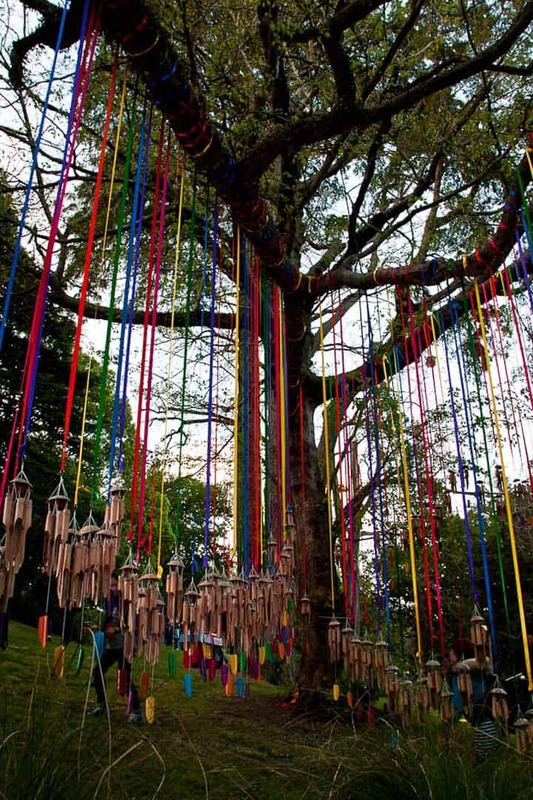 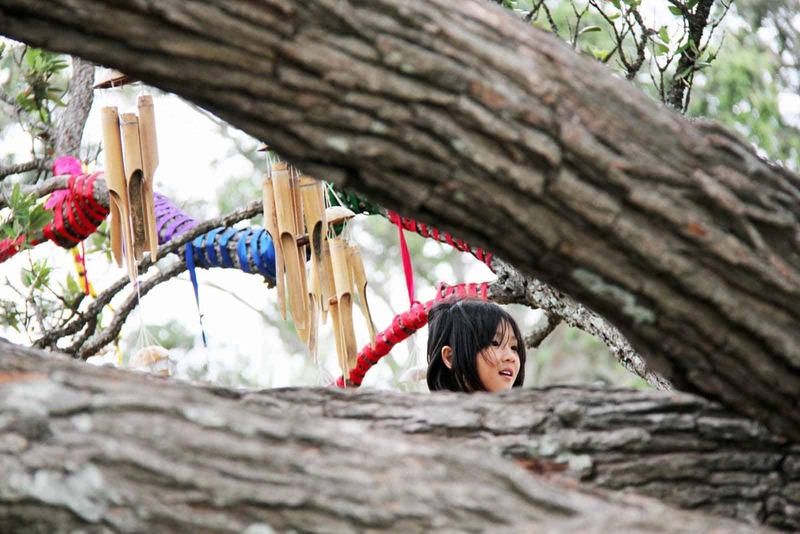 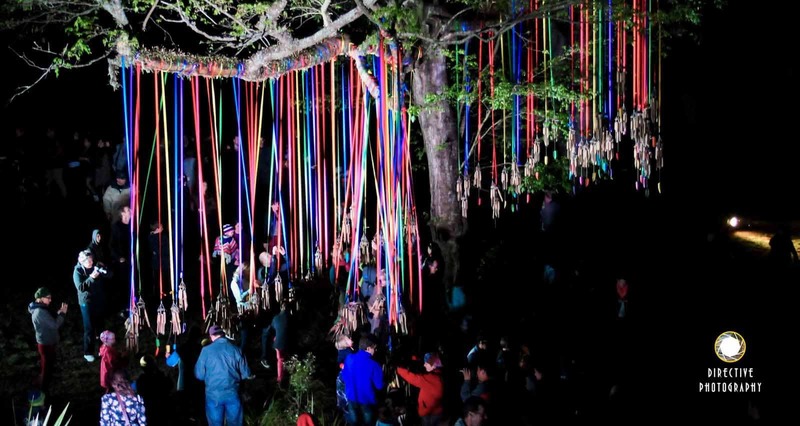 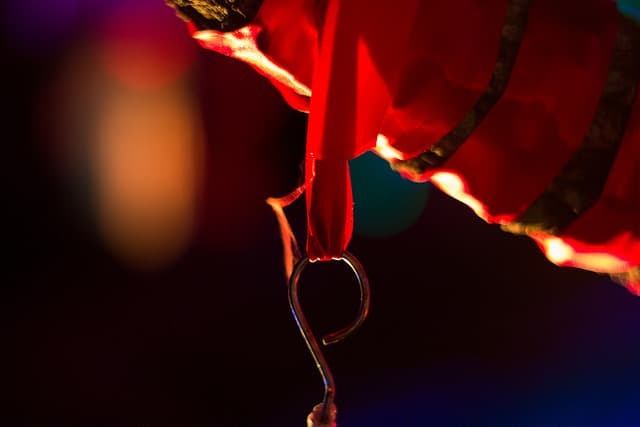 Densely filled branches one with ribbons and chimes near the bottom of the park hang as a beautifully suspended veil. 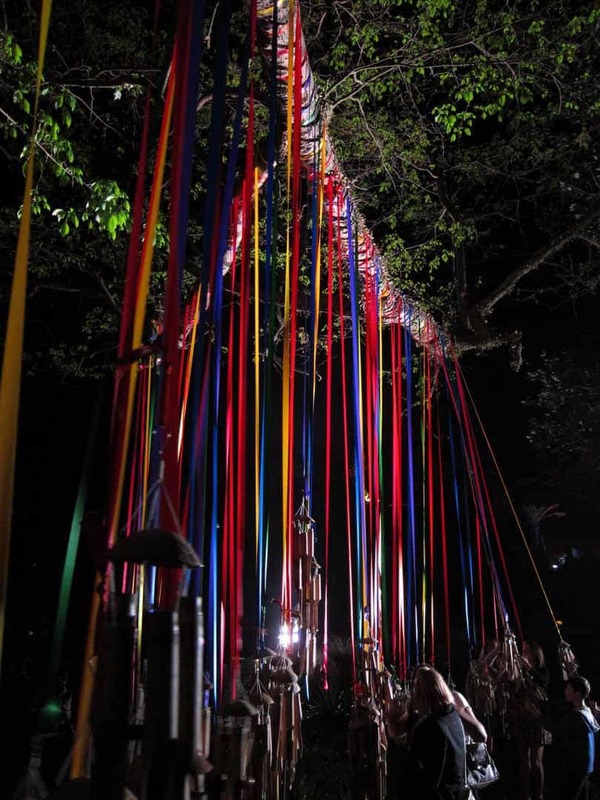 Forming an ethereal partitions or curtain that the audience can slip in and out of activating the artwork or simply feeling the chime brush against them. 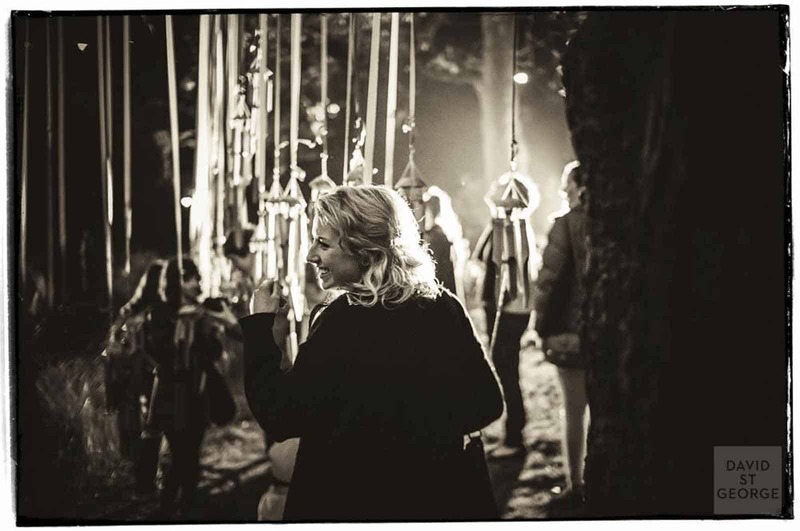 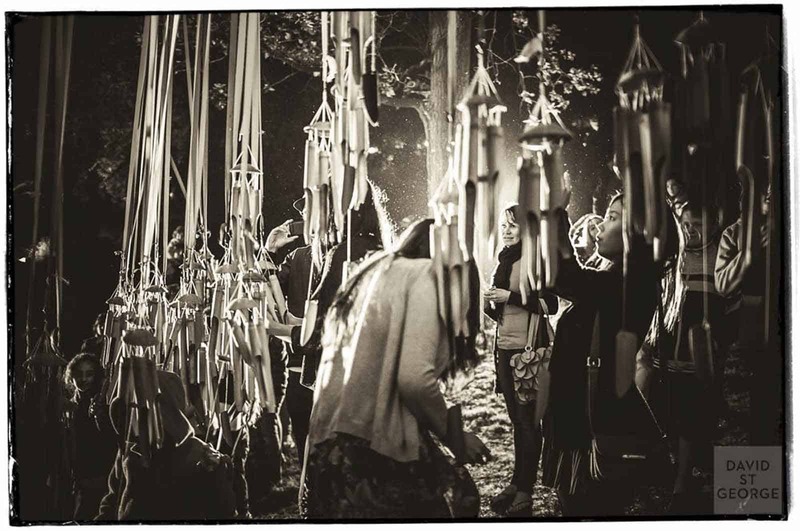 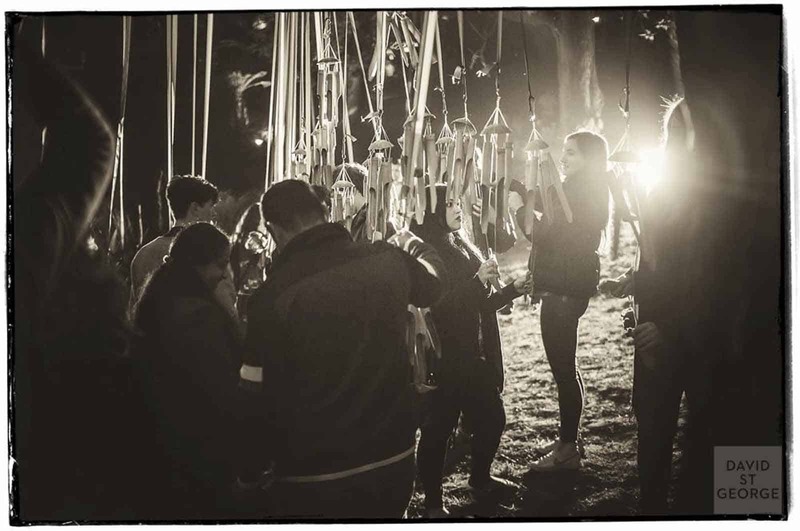 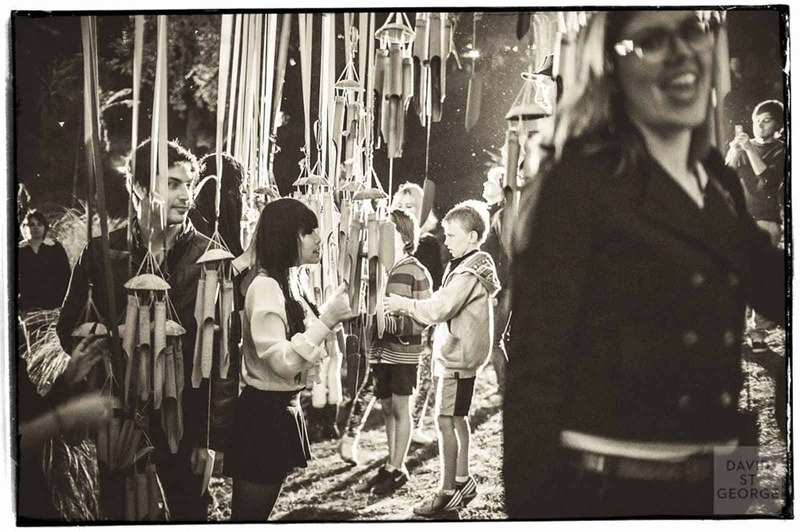 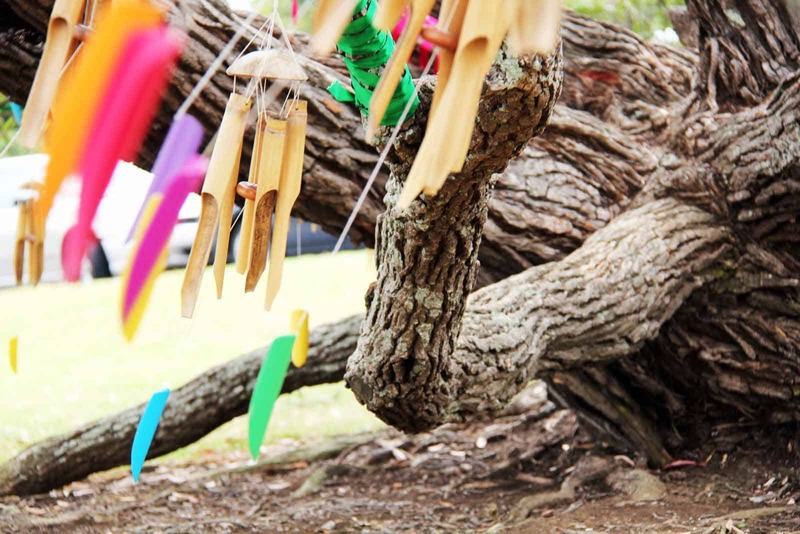 The audience becomes the performers, becoming a part of the work as they activate the chimes along with the wind currents. 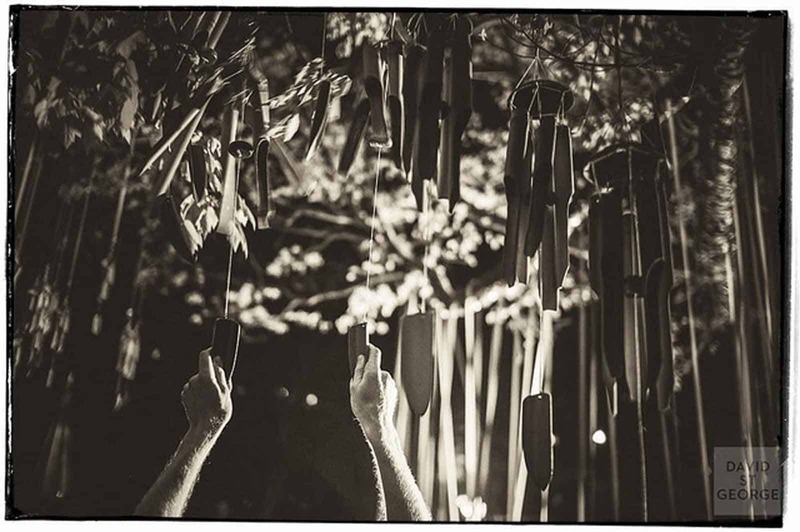 The work then became alive and able to be ‘played’. 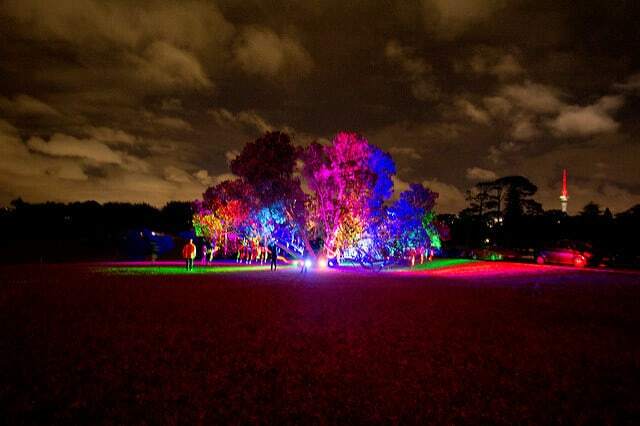 This sound based work will be subtle in its approach creating intervention space within the park as it will not be highly lit. 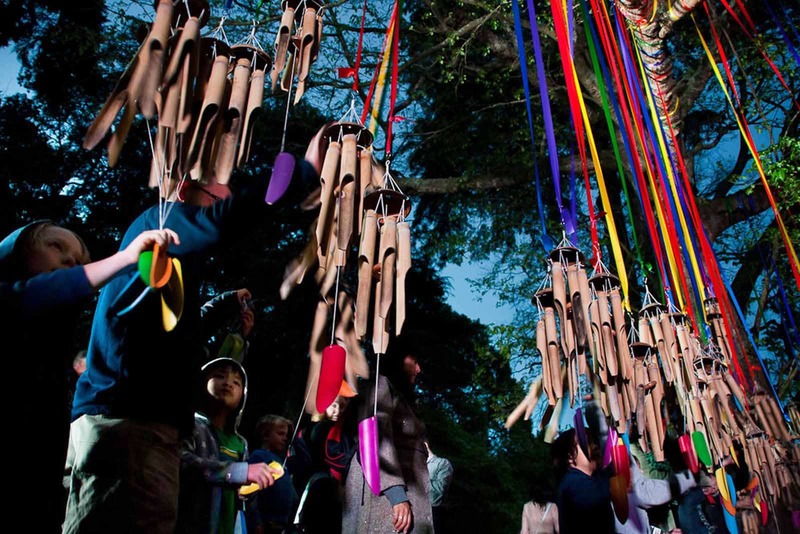 The works subtlety plays on the gentle calling on the chimes that lead people to the discovery of the of work itself and to the joy of ‘playing’ it. 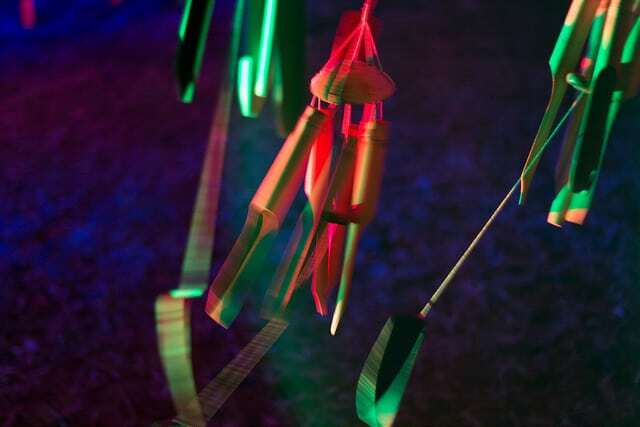 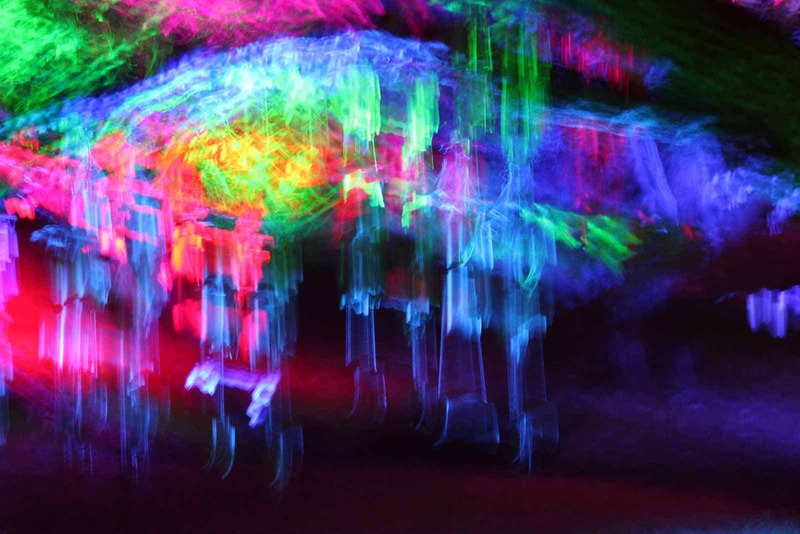 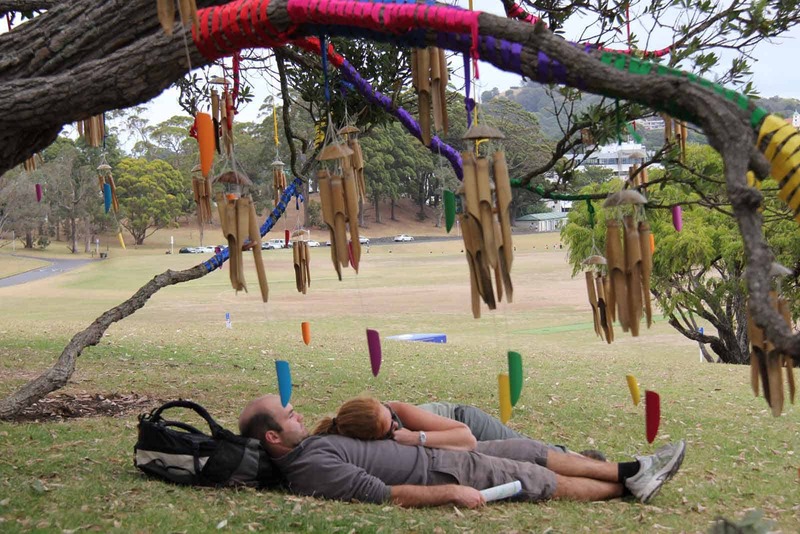 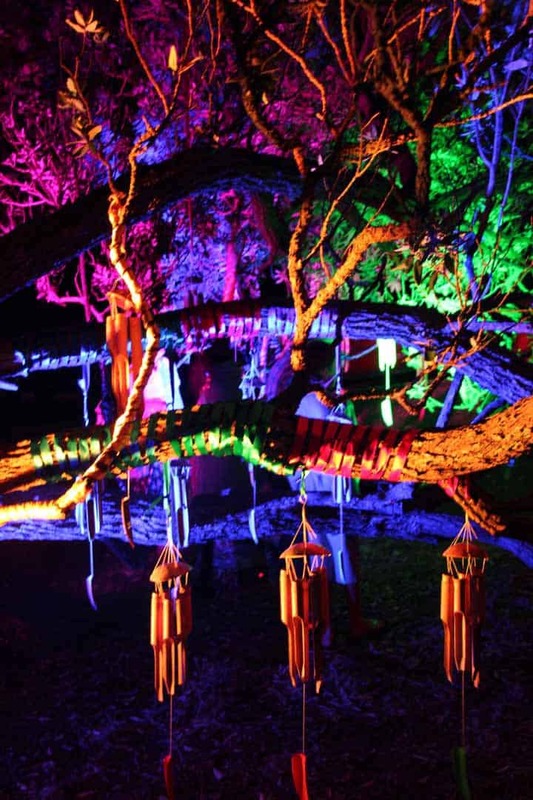 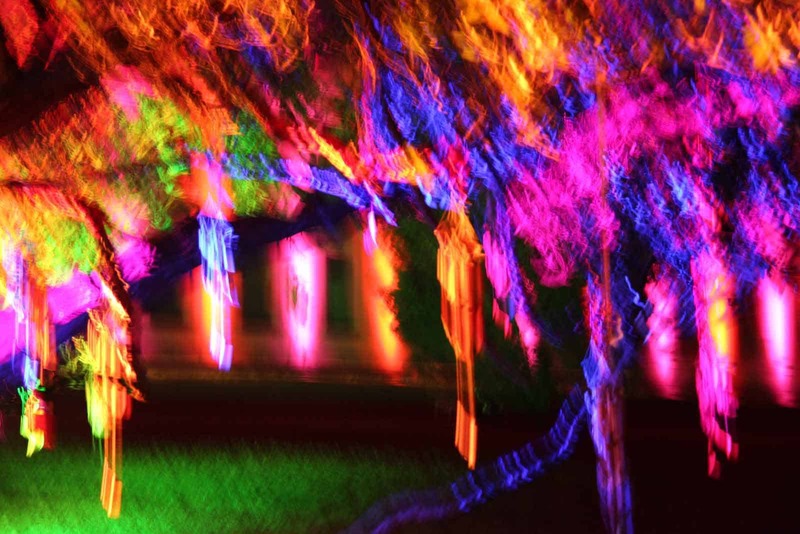 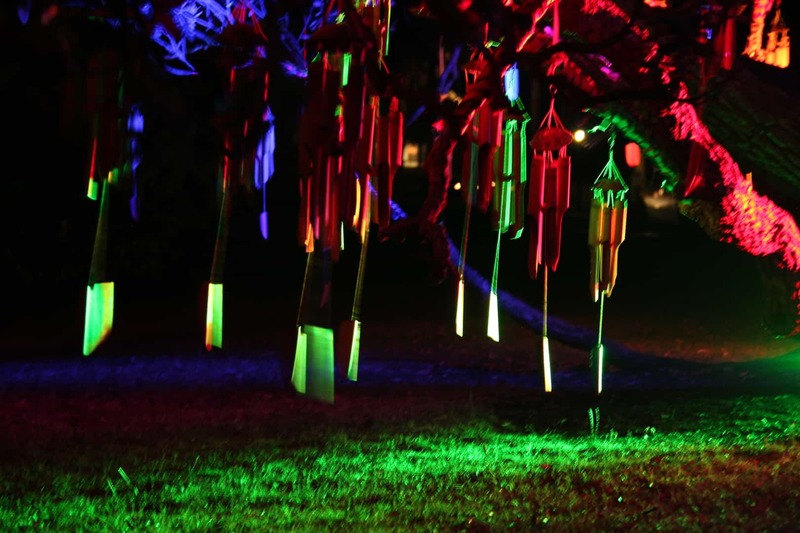 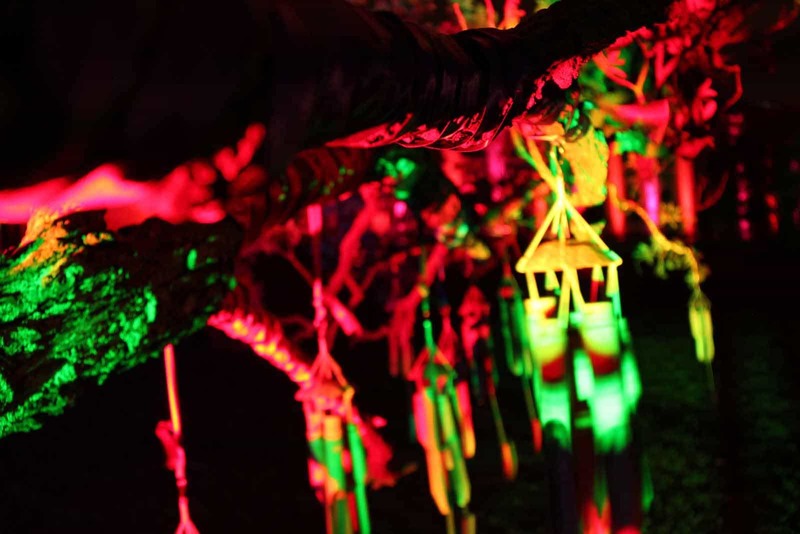 Over four nights annually, Art in the Dark lights up Western Park in Auckland with creative projects from the most innovative artists in New Zealand and abroad. 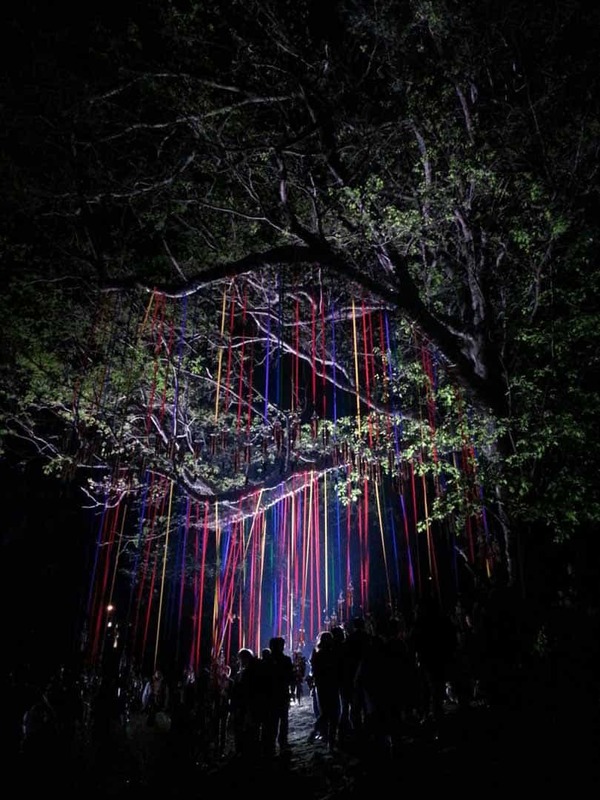 Participating in Art in the Dark challenges artists to create projects that not only fit the specific contours of the great, urban outdoors but that must illuminate the dark, using sustainable materials and energy wherever possible. 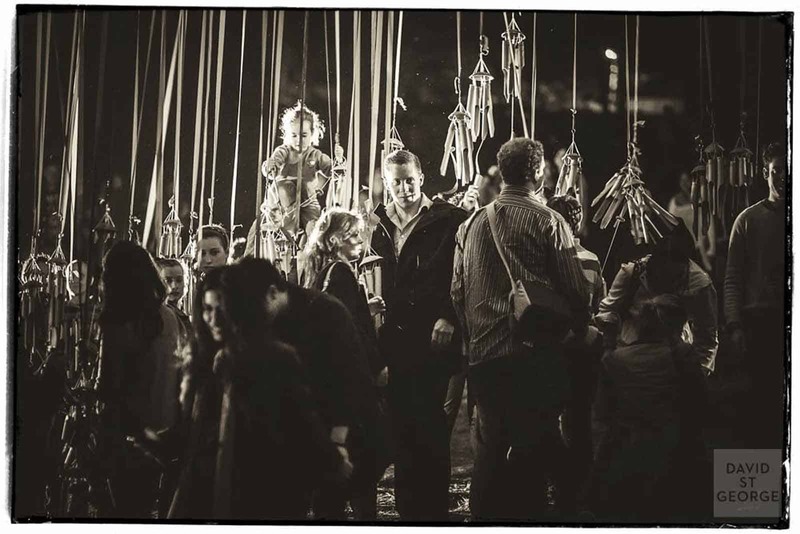 Last year this free event saw Auckland’s Western Park transform into a buzzing hub of activity with over 50,000 visitors. 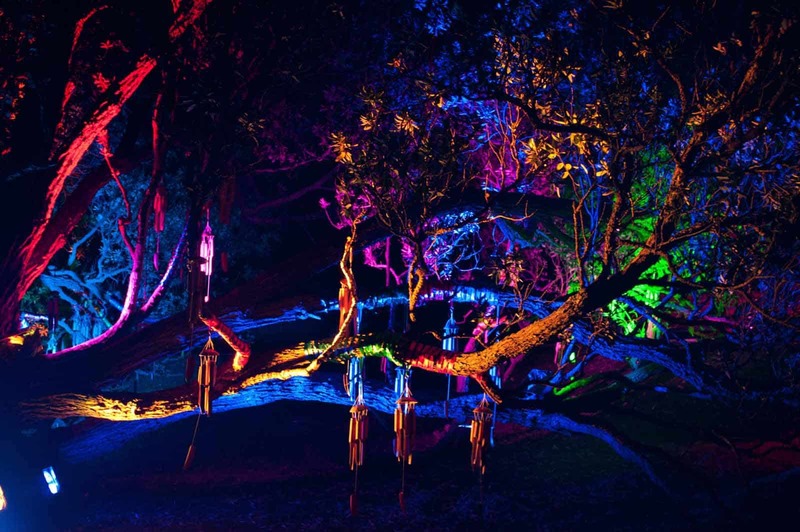 This audience witnessed over forty light art installations ranging from projections, performances, installations and large scale immersive experiences.